When we use electronic devices, we will expect device to be simple and easy to use. Thus, easy operation has become crucial for customers to decide to buy it. With this need surging, many manufacturers have simplified their electronic products like iPad or smart phones that you can operate your devices only through touching the screen. For many e-cigars existing on the market, they are also easy to use through OLED screen or through one button. SMOK Stick M17 is a typical example for you can use this device through one button. The principle of “one button for all” is very suitable for beginners for you can finish all the operations. If you want to turn on the device, you just need to press the button to start it. When you want to adjust levels of the e-cigar, it is also easy for you. With this design, there is no need for beginners to worry about that they will feel confused about different buttons. When they feel confused, some unnecessary mistakes will be made. By using SMOK Stick M17, those mistakes can be avoided to some extents. In addition, this button has combined the indicator function. This indicator will inform you some information, for example, if the light flashes 15 times, it suggest that the voltage is lower than 3.3V. This signal reminds you of charging the device in time. With one button, it is customer-oriented because they can notice some signals immediately and can operate easily. One button design is based on the conciseness and simplicity. 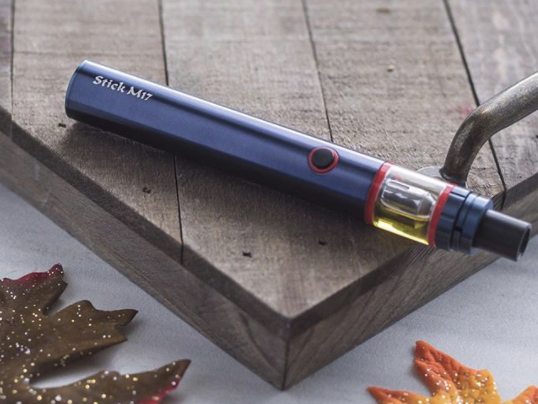 If you are a beginner, you can choose SMOK Stick M17 to meet your needs.